Fantasy Bob did not realise until he caught the tail end of the event that this weekend was Big Dance Edinburgh. There was a series of open air dance events across the City. He regrets that he did not keep himself better informed, for this event could have been a fine substitute for watching or playing cricket, neither of which was possible due to the continuing wet weather. He was pleased that he did catch the end of the event, which included a series of displays of different kinds of dancing. As he arrived the Belly Dancing Barbie had just finished her gyrations and the stage was taken up with a troupe called Twisted Tails and Katra, which was described in the programme as a Tribal belly dancing demonstration. And very enjoyable it was too, the highlight being a lady who arrived on the stage with two large scimitars. After waving them about for a bit she balanced them both on her head and did a series of twirls and wiggles. Test Match Quality. Belly dancing seemed to be prominent in the Big Dance programme, and it has a long and respectable tradition with many variants. This got FB wondering about the connection that belly dancing has with cricket. FB has known many players during his long years in the lower leagues who have concentrated on the belly, but rather ignored the dance. Indeed so predominant has the belly become, that even strolling a single in the time it would take an enthusiastic junior to run four is a challenge. This effort may not rival Nureyev in terms of fluidity of movement, but it is certainly rhythmic. Indeed the complex rhythmic interplay between the belly and the rest of the body can overcome the watcher and leave them dizzy. But the honourable tradition of belly dancing has a lot in common with cricket. 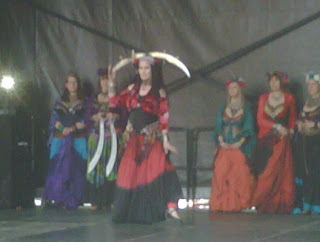 There are a number of standard movements in most belly dancing. These are all cricketer's moves. There is the shimmy - described as a shivering vibration of the hips. This is most commonly seen in cricket when the batsman has been struck on the front pad by a straight one and is desperately attempting to give the impression that he was struck outside the line. So impressive can this movement be that umpires in the lower leagues are frequently taken in by it. Players therefore practice it assiduously. Top level cricket has had to introduce the DRS to overcome its power over umpires. Despite the ICC advocacy of this system (Designed to Reduce Shimmying), it the Indian Board of Control has resisted it in respect of its nation's long tradition of shimmy and similar dance moves. Then there are hip hits. This is a staccato movement of the hips out from the body. This is most frequently seen by fielders, not unlike FB, who were once a ball of lithe athleticism in the field, now have difficulty in bending to retrieve the ball without such exaggerated movements. This is not to be confused with hip-hop which is another dance movement which cricketers would do well to avoid since it involves doing twirls while standing on your head. This has been found to hinder bowlers' attempts to bowl a consistent line. Finally, there are movements called undulations – these are not the undulations addressed by Doughty Groundsmen by the means of sitting on the heavy roller. Instead they are described as fluid movements of the hips or of the chest and abdominal muscles in a circular or rotating fashion. FB reads that the most well known of these movements is designed to the impression of riding a camel. And not, as FB had previously believed the method through which a batsman recovered his equanimity after being struck by a fast ball in what Richie Benaud invariably described as the lower abdomen. As yet, FB has not found a move in cricket that equates to doing a series of twirls with two scimitars balanced on your head. 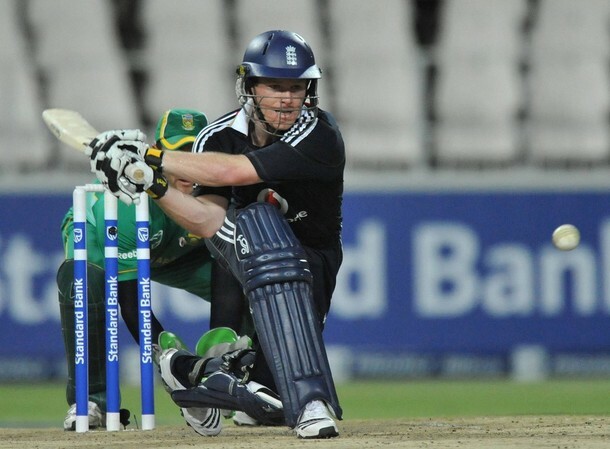 However he thinks it is only a matter of time before an innovative batsman such as Eion Morgan or KP develops this shot. 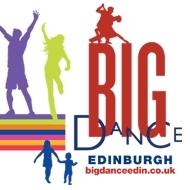 The arrival of bellydancing in Edinburgh is certainly a welcome development, enriching as it does the cultural mix of this cold northern city. It follows a recent disclosure that a neighbour of FB has been positively identified by DNA analysis to be a direct descendent of the Queen of Sheba. FB could experiment with some of the above moves in forthcoming matches (assuming these are not rained off). However, on grounds of good taste, on he should probably avoid the Dance of the Seven Veils. FB has always enjoyed the dance of the seven bails.